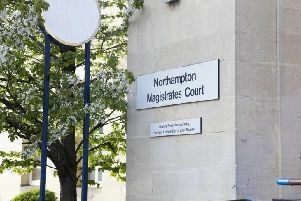 A burglar from Northampton who broke into a flat and sprayed ketchup and brown sauce all over the kitchen has been given a 20-month custodial sentence. Courtney Holder, aged 20, of Belfield Close, Northampton, broke into a flat in the Abington area on October 9 last year. Northampton Crown Court heard Holder along with a group of unknown men stole a bicycle as well as some food from the kitchen including cheese straws and crackers. Tomato ketchup and brown sauce was sprayed all over the kitchen. Stephen Moore, prosecuting, said the bicycle was later recovered but the front wheel had been buckled in. Mr Moore said the victim of the burglary had been left feeling “nervous and vulnerable” and felt her property had been “violated”. The court heard Holder had committed two previous burglaries in 2009 and 2010 when he was aged 14 and 15 years old. His Honour Judge Michael Fowler said Holder had caused “deliberate damage” to the property and “distress” to the owner of the flat. Holder, who pleaded guilty to burglary, was sentenced to 20 months in a young offender institution. He is likely to serve half his sentence in custody before being released on licence.